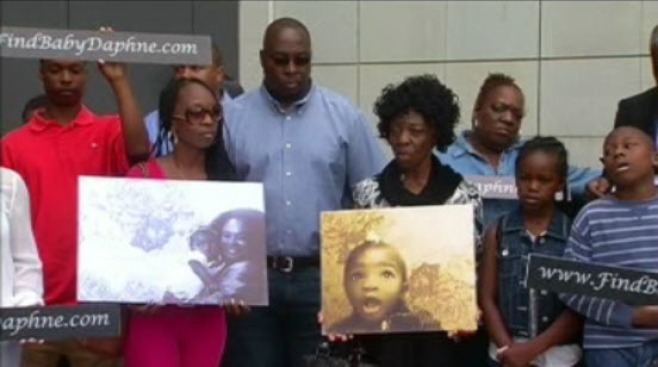 Family of the missing 22-month-old Daphne Webb from Oakland announced a website and hotline to help in the search to bring the toddler back home. The family of missing Oakland toddler Daphne Webb is holding a candlelight prayer vigil Thursday to mark her second birthday as well as the three-month anniversary of the day she was reported missing. Daphne's father, 49-year-old John Anthony Webb of Oakland, reported her missing shortly after 11 a.m. on July 10, telling police that she had been abducted by a stranger shortly after 11 a.m. that day while she sat in a parked car with his 87-year-old mother while he went inside the Gazza Supermarket at 7838 International Blvd. to buy something. She remains missing, despite numerous searches by Oakland police and a $20,000 reward for information that helps authorities find her. A vigil was held Wednesday night in Oakland for a missing 21-month-old girl. Terry McSweeney reports. Daphne's maternal grandfather, Kevin Davis, said in a statement, "We still have the Oakland police and the FBI doing all that they can do. It's still a priority. We still have our hopes up." The vigil will be held from 4 p.m. to 6 p.m. Thursday at the corner of International Boulevard and 79th Avenue, the location where John Webb reported Daphne was missing. 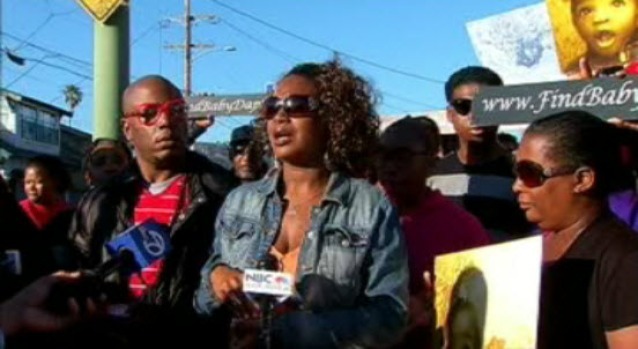 Oakland police spokeswoman Johnna Watson wasn't immediately available for comment Thursday. She has previously said that the Police Department's primary focus is finding Daphne alive but that they're also looking into the possibility that foul play was involved. 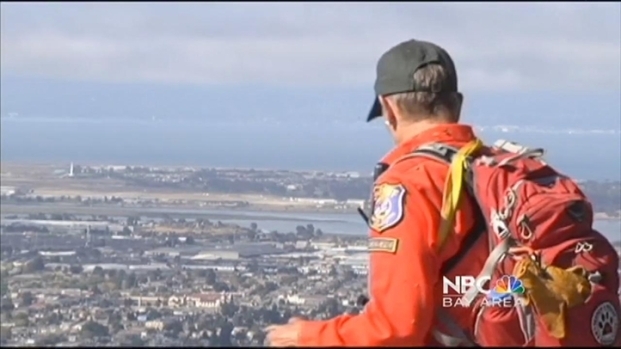 Kimberly Tere reports on a massive effort to find clues into the disappearance of a missing Oakland toddler. Watson has said the Police Department's missing persons and homicide units are both investigating the disappearance. Oakland police arrested John Webb on suspicion of felony child endangerment the day of her disappearance because he had left her in the care of his mother, who suffers from dementia. But Webb was released from custody two days later, after the Alameda County District Attorney's Office declined to file charges against him. Watson has said that Webb remains a person of interest in the case but isn't a suspect. Daphne is described by police as 2 feet tall and 30 pounds. She is black with short, curly black hair and a deformity in her left ear. She was last seen wearing orange two-piece pajamas with pink hearts.